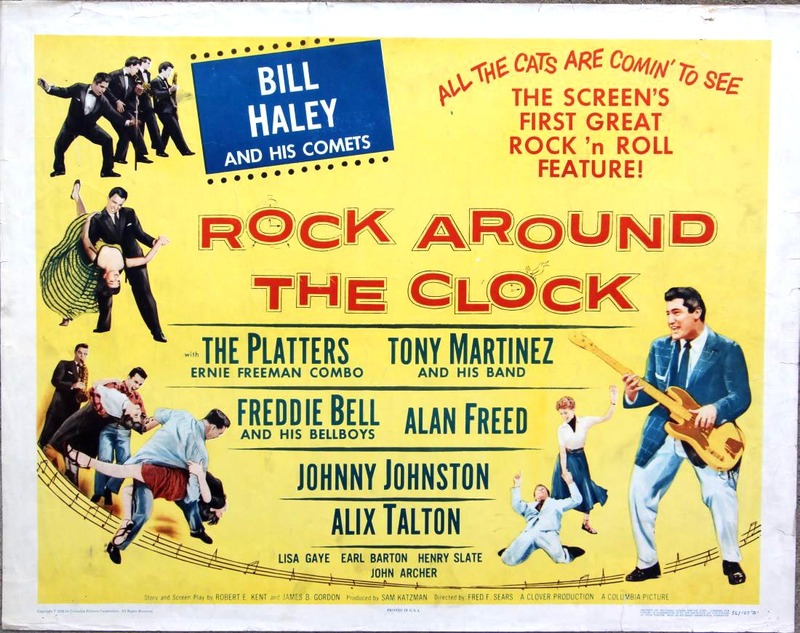 1956’s Rock Around the Clock film caused riots and created big interest in Bill Haley and His Comets when it was shown in the U.K.
Before there was a British Invasion of rock music into America, an invasion of the U.K. by seminal American rocker Bill Haley helped set the stage and fire up the English musical troops. His star may already have been fading back in the States, but overseas he was welcomed with a mania by fans that presaged what was to come for The Beatles. The year before, the film he appeared in, Rock Around the Clock, had sparked teen riots when it was shown in theaters. A number of future British stars saw Haley on the tour that took the singer and his band across England and to Scotland and Ireland, starting at the London Dominion on February 6 and wrapping up back at the same venue on March 10.